Physical characteristics: The Asian fairy bluebird has a sturdy build, with a length of 10 inches, (25 centimeters), and a weight of 2.5 ounces (75 grams). The male has black under parts, wings, and tail, with ultramarine blue upperparts and feathers under the tail. Females are dark turquoise-blue all over with black flight feathers. Both male and female have red eyes. Geographic range: The Asian fairy bluebird can be found on the coast of southern India, in the eastern Himalayas, Myanmar, Yunnan, Indochina, Malay Peninsula, Java, Sumatra, Borneo, and the western Philippine island of Palawan. Habitat: Asian fairy bluebirds can be found living primarily in primary and tall secondary forests. Diet: Asian fairy bluebirds are omnivores, eating insects and nectar. Their primary source of food is fruit, especially preferring figs. Behavior and reproduction: These birds can be found in flocks of up to thirty birds, and dwell mostly in the upper parts of the forest. They will bathe in streams, only to return to ascend again, returning to the higher locations. Asian fairy bluebirds are known for their melodious whistle. Asian fairy bluebirds and people: These birds have no special significance to humans. Campbell, Brude, and Elizabeth Lack, eds. A Dictionary of Birds. Vermillion, SD: Buteo Books, 1985. "Fairy-bluebirds (Irenidae)." Monterey Bay. http://www.montereybay.com/ creagrus/fairy-bluebirds.html (accessed on May 5, 2004). "Fairy Bluebird." Science Daily. http://www.sciencedaily.com (accessed on May 5, 2004). "Birds of the National Zoo, Fairy Bluebird." Smithsonian National Zoological Park. 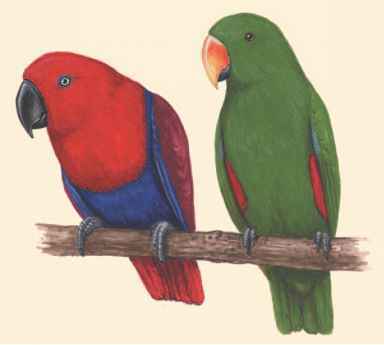 http://natzoo.si.edu/Animals/Birds/ (accessed on May 5, 2004).